Looking for the Best EDC Knife? An every day carry knife is supposed to be just that. A knife you have with you and use every day. Everyone will use an EDC knife for a slightly different purpose. An electrician will use it differently from a fisherman who will use it differently from my fellow search and rescue brothers and sisters. All this to say, EDCs are not meant to be the perfect knife for any single purpose, but rather jack-of-all-trades knives that are good enough to get anything done. Ultimately, remember that the perfect knife will always be the one you have with you when the need arises. Below are what I consider to be the best EDC knives on the market. I have used, though not necessarily owned, all of them. Please remember that this list is created based on the collective personal experiences of myself, my friends and colleagues. Our lives are all a little different, as are the requirements we have for our tools. Also note that the Top 10 EDC Knives list below is my “ultimate” list, where price is not an option. 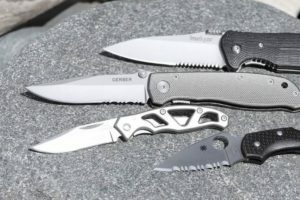 If you have a maximum you would like to spend on an everyday carry knife, feel free to take a look at my “Best Below 30”, “Best Below 50” and “Best Below 100” lists instead. 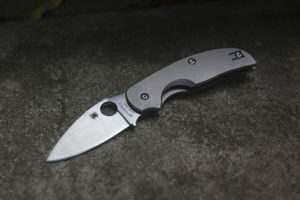 Spyderco is well known for creating some of the most outstanding knives on the market. And the Paramilitary 2 is possibly their best offering. Since its release, it has become one of the few must-have knives for any collector, enthusiast or indeed anyone wanting an EDC. It is a knife that I own, carry every single day, and one that has never let me down. The blade is made of premium S30V steel, is 3.44 in (87 mm) long, and comes sharp as hell straight from the factory. I’m a big fan of the prominent signature Spyder round hole (Spyderhole) for easy thumb deployment, both from a functional (it works great) and aesthetic point of view. 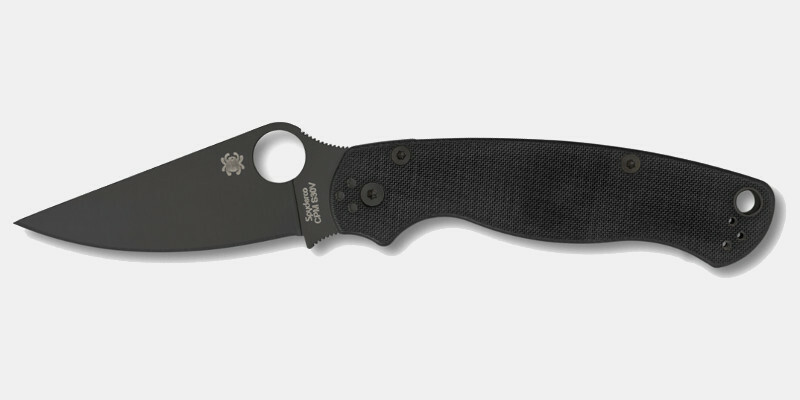 The Paramilitary 2 has a very ergonomic G-10 handle, something I have come to expect from Spyderco, and features a distinct back mounted compression lock that gives extra safety and security when in use. I have also never experienced any hint of blade play. The Paramilitary 2 has an overall length of 8.28 in (210 mm), and 4.81 in (122 mm) when closed. Its weight is 3.9 oz (111 g). It the blade in the US. This knife is absolutely as tough as they come, and because of this, it is very popular with the law enforcement, firefighting and military crowd. Myself and many of my colleagues carry it with us every single day. It will cut through anything you can throw at it, and I have never questioned its durability. Many call this the best EDC on the market, and I can certainly see their point. 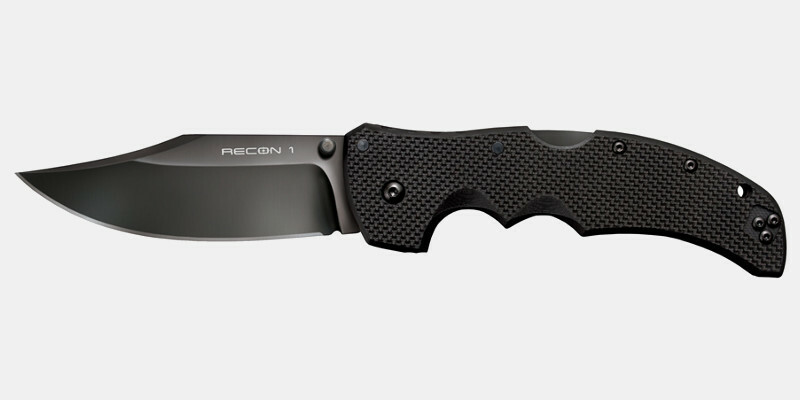 The Recon 1 blade is made of hollow ground US made Carpenter CTS XHP steel. It also features DLC coating. This is where the knife’s toughness comes from. The blade is an even 4.00 in (102 mm) in length. The handle is scaled G-10 and depending on your likes, can be considered quite abrasive. Many love it, but I sanded mine down just a touch to get my preferred level of texture. 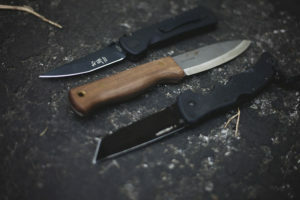 The knife uses Cold Steel’s renowned Tri-Ad locking system, which will ensure the blade will stay open, no matter what. The Recon 1 pushed the boundaries of an EDC regarding size. It has an open length of 9.38 in (238 mm) and a closed length of 5.38 in (137 mm). It also weighs a somewhat beefy 5.3 oz (150 g). Though the blade’s steel is a US product, the knife is made in Taiwan. Benchmade is a well known and respected manufacturer of high-quality pocket knives. The Griptilian is their most popular model and has won the hearts of many knife enthusiasts, myself including. Don not be fooled by its sub $100 price tag. This is a top quality EDC that stands on its own and beats out many competitors in nearly every department. 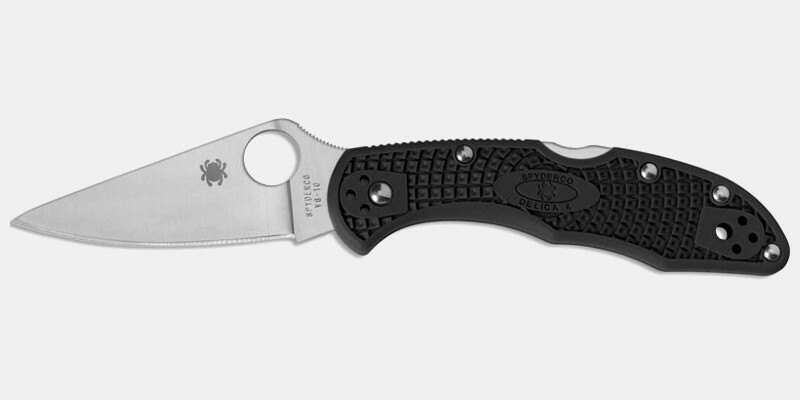 The standard Griptilian, model 551, has a blade made of 154CM stainless steel. It has a length of 3.45 in (88 mm). This is the model I own and love. If this is too large for you, Benchmade also makes a Mini Griptilian, model 556-1, which costs about $10 less. Its blade is almost a half inch shorter, coming in at 2.91 in (739 mm) and is made of CPM-20CV premium stainless steel. The standard Griptilian handle is made of GFN (Glass Filled Nylon), whereas the Mini has a G-10 handle. 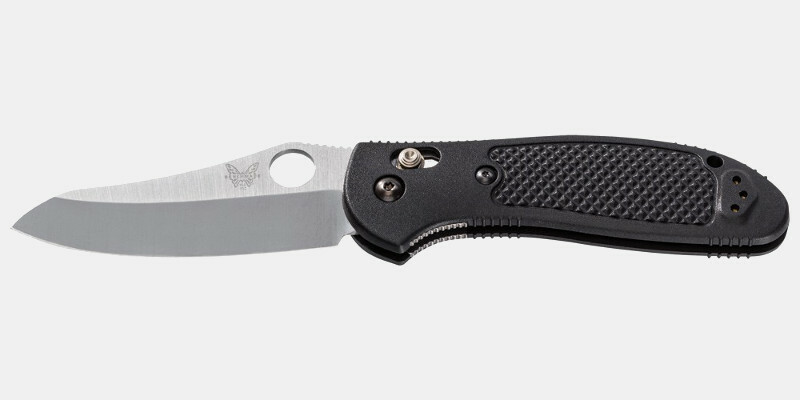 Both models come with Benchmade’s patented and much-renowned AXIS lock mechanism. The Griptilian is 8.07 in (205 mm) long when open, 4.62 in (117 mm) closed, and weighs a surprisingly light 3.88 oz (110 g). The Mini version is 6.78 in (172 mm) long open, 3.87 in (98 mm) long closed, and weighs in at 2.68 oz (76 g). Benchmade is based out Oregon of and manufactures in the US. A fantastic looking knife, the ZT 0350 is a little costlier than the competition. That said, its build is much more solid than most other products I have seen. This is an EDC I do not own, but several colleagues whose opinions I would never question have put their reputation on the line and vouched for it. If you want a tougher than nails knife, this is the one to get. The blade is made of high-end S30V stainless steel. It has a length of 3.25 in (8.25 cm) and is as sharp as can be. 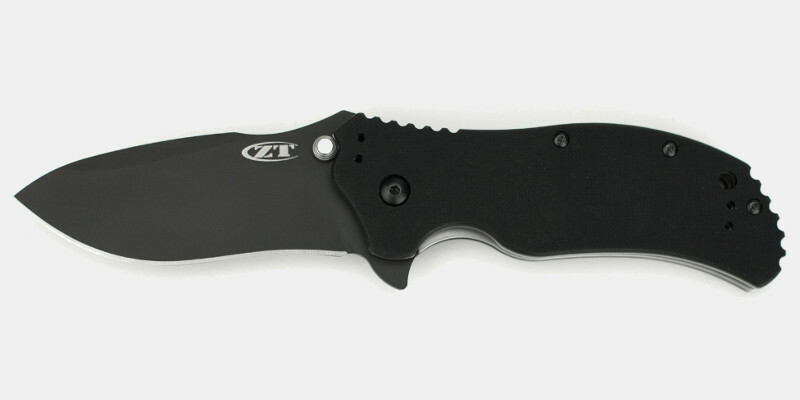 The ZT 0350 has a GT-10 handle with just the right amount of rough texturing to help with the grip. It is an assisted-opening knife with a liner lock. The knife has a closed length of 4.6 in (117 mm) and is 7.6 in (193 mm) long when opened. It does come in at a rather hefty 6.2 oz (175.8 g), making it one of the heavier EDCs out there. The Zero Tolerance 0350 is made in the US. Columbia River Knife and Tool have built a reputation for creating innovative, reliable and generally superior products. But, regardless of how good their lineup is on the whole, every company always has a product that stands out from the rest. For CRKT, I believe that product to be the No Time Off. In my circles, the No Time Off is unanimously considered to be the tough-as-nails workhorse of the EDC world. This knife features a BD1 steel drop point blade, which is very easy to sharpen. The blade measures 2.99 in (76 mm). The handle is made of glass-reinforced nylon. The No Time Off comes with Brazilian knife designer Flavio Ikoma’s trademarked IKBS ball bearing pivot deployment system. It makes opening and closing the knife very smooth indeed. When open, the No Time Off has a length of 7.25 in (184 mm). Closed, it measures 4.28 in (109 mm). 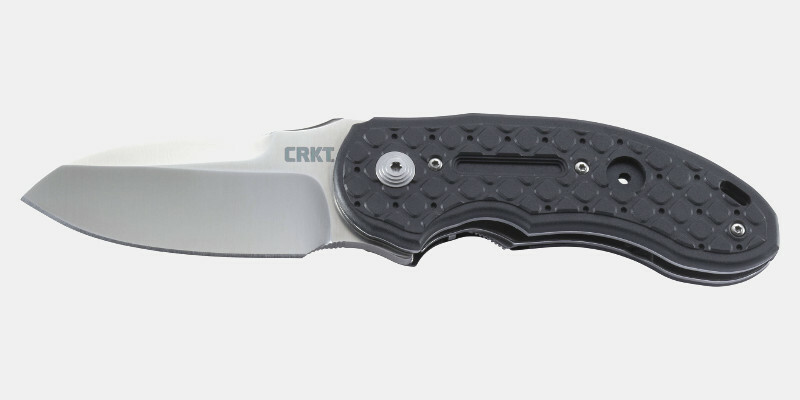 This CRKT offering tips the scales at a slightly high 5.9 oz (167.3 g), but considering its ruggedness and toughness, the weight does not bother me at all. Though CRKT is based in Oregon, their knives, including the No Time Off, are mostly made in China and Taiwan. The second entry on the list from one of my favorite manufacturers, Spyderco, is the classic Delica 4. This EDC has now been around for about two decades and has done an incredible job standing the test of time. It is simple, with very few bells and whistles and just your average look, but very effective and completely unintimidating. This one has been in my collection for years and is a backup I would never hesitate to call upon. The blade on the Delica 4 is 2.88 in (73 mm) in length and is made of VG-10 steel, developed by the Japanese and initially targeted towards chefs. It is very easy to sharpen and super rust resistant. The handle is made of FRN (Fiber Reinforced Nylon) and comes in one of seven different colors. The knife has a mid-lock back locking mechanism that is easy to use and get used to if you’re more familiar with something like a liner lock. 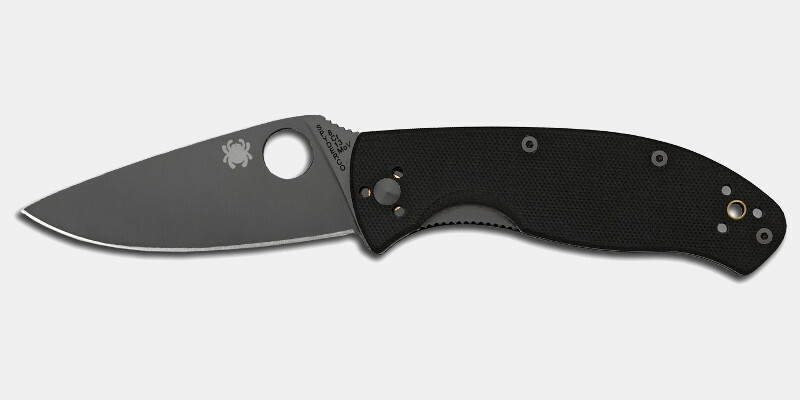 Thanks to its simplicity, the Spyderco Delica 4 is a featherweight at a mere 2.5 oz (71 g). Its overall length is 7.13 in (181 mm), and it is 4.25 in (108 mm) long when closed. Because of the origin of its blade, the Delica 4 is made in Japan. The Ontario Knife Company has been around and making knives for over a century. The RAT II is one of my favorites, and costing just under $30, offers insane value. Few other folding knives can match the features, performance and fit at this price. If you or anyone you know is looking for an introduction to EDCs, this model is an excellent choice and one I always recommend to absolute beginners. The RAT II features a 3.00 in (76 mm) blade made of heat treated AUS-8 steel. It is very easy to sharpen and hold the edge pretty well. Ultimately, it is no match for premium steels like S30V, but for the price, it more than holds its own. The handle is made of Nylon 6, which again is a bit of a compromise because of the low price. But, because Ontario chose to apply a micro-checkered pattern, the handle grips quite well. The RAT II has a super fast and unique two washer set deployment system, and a liner lock locking mechanism. The overall length of the knife is an even 7.00 in (178 mm), and 4.1 in (104 mm) closed. The RAT II only weighs 2.8 oz (80 g). It is made in Taiwan. The Kershaw Skyline has gained many fans over the years. For its low price, it provides high performance. It is another excellent entry level EDC and a “can’t go wrong” choice for those on a budget. The knife is also lightweight and slim, making it ideal for pocket carry. The blade is made of 14C28N steel and is 3.125 in (79 mm) long. At this price level, 14C28N steel is in my opinion best in class. It is a Swedish made material known for its sharpness and high edge retention often used for chef’s knives. It is also quite easy to sharpen. The handle is made of textured G-10 scales. This is one grippy knife. G-10 is an advanced material that is virtually indestructible, a good quality to have in an EDC. To open it, the Skyline has an unassisted flipper and ambidextrous thumb studs. I much prefer the former. A liner lock locks up the blade nice and tight. The knife has a closed length of 4.25 in (108 mm) and an overall length of 7.4 in (187 mm). It is light as a feather, weighing a best in class 2.5 oz (71 g). 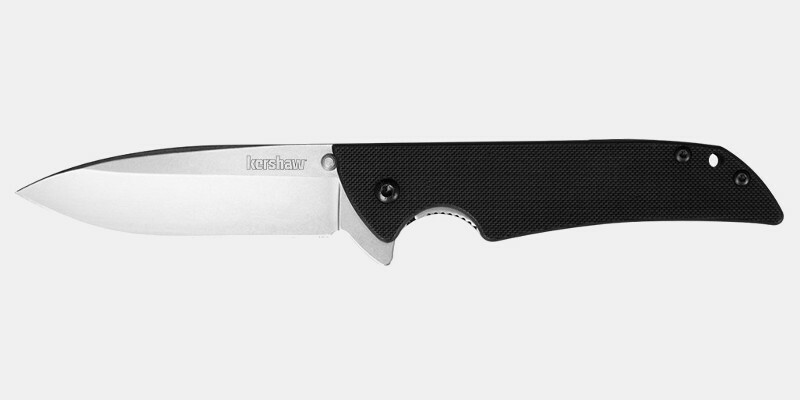 The Kershaw Skyline is made in the US. The Spyderco Tenacious is the cheapest of the three Spyderco EDC knives to make my list. Clearly, I like my Spyderco’s. But don’t think the lower price makes it any less capable. This knife is a great little performer has been a welcome addition to my collection. It’s a good choice for anyone who is looking for their first EDC, is on a budget, or wants an introduction to the Spyderhole deployment system. Lookwise, this knife is also classic Spyderco. The Tenacious’ blade is 3.39 in (86 mm) in length, stonewashed and made of 8Cr13MoV steel, which is a similar but harder Chinese alternative to the popular AUS-8 steel. As is the case with any Spyderco knife I have used, the blade is crazy sharp straight out of the box. Layers of steel with G-10 scales make up the handle which has been milled out to keep weight in check. This is a great touch for a knife in this price range. The handle is lightly textured, and I find it both comfortable and the perfect size. Deployment is done with the signature Spyderhole and the blade locks with a thick liner lock. Sizewise, the Tenacious is 7.76 in (197 mm) open and 4.45 in (113 mm) closed. It weighs a middle of the road 4 oz (117 g). To keep cost in check, the knife is manufactured in China. Many complained the original Kershaw Cryo was lacked grip and was too heavy. The Cryo G-10 is Kershaw’s response to those criticisms. By using G-10 scale, the knife is both lighter and grippier. For the price, this is a nice choice for budget conscious buyers. Note, however, that for individuals with larger hands, several of my colleagues indicated this knife could be a tad short. 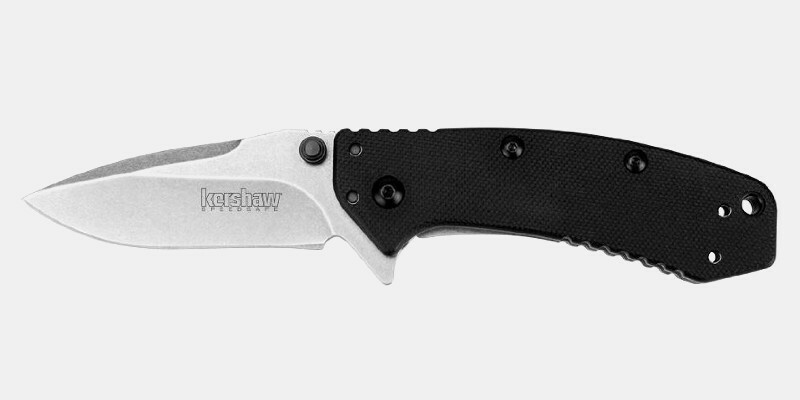 The Kershaw Cryo G-10 blade is 2.75 in (7 cm) long and made of 8Cr13MoV steel. 8Cr13MoV steel is a cheaper product comparable to the popular AUS-8. It sharpens well and holds a good edge, but compared to some of the more expensive, harder steels, this knife does have to be sharpened more frequently. As stated, the handle is a G-10 grip. Like all Cryos, this model features easy and smooth one handed opening thanks to SpeedSafe deployment technology. A frame lock secures the blade. This knife is on the smaller side, with an open length of 6.5 in (165 mm) and a closed length of 3.75 in (95 mm). It weighs a respectable 3.7 oz (105 g). 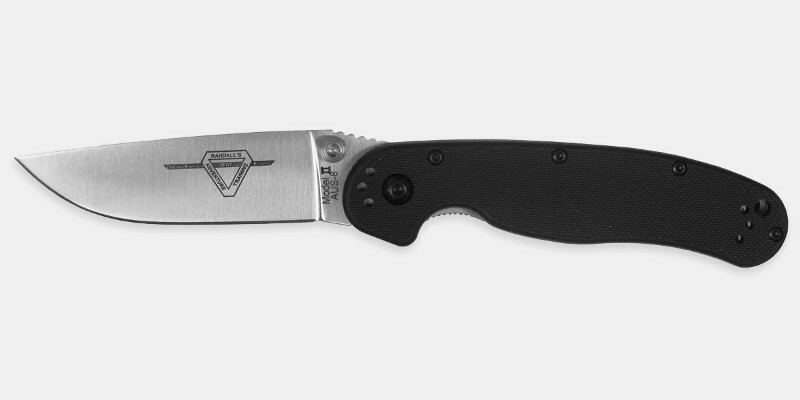 As is the case with most knives in this price range, the Kershaw Cryo G-10 is made in China. Those are my top 10 EDC knives recommendations. Ultimately, you can’t go wrong with any one of them. They have all been tried, battle tested and passed with flying colors. Consider what you will be using the knife for, how often, and how you will carry it around. Then, go and pick up that perfect EDC knife!